How to drink authentic Cuban rum in US Jump to media player A new bar named after the American author Ernest Hemingway has opened at the Cuban Interests Section in Washington, DC. 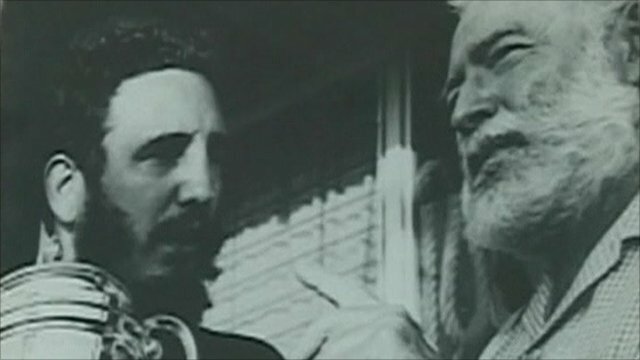 Hemingway's fishing carnival in Cuba Jump to media player Cuba's favourite American, Ernest Hemingway, is honoured by an annual carnival and fishing tournament in a village near Havana. 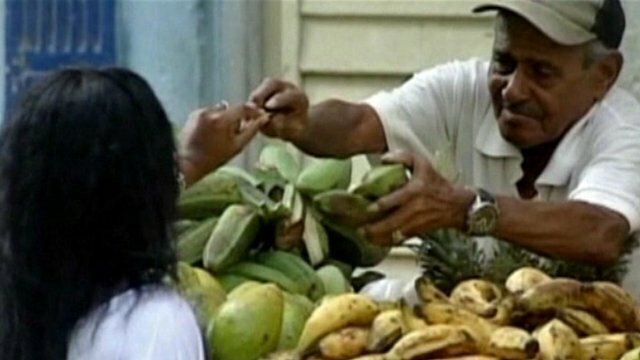 Cuba's new small businesses struggle Jump to media player Many small businesses in Cuba sprang up after the government lifted restrictions a year ago, but now new entrepreneurs say they are struggling. 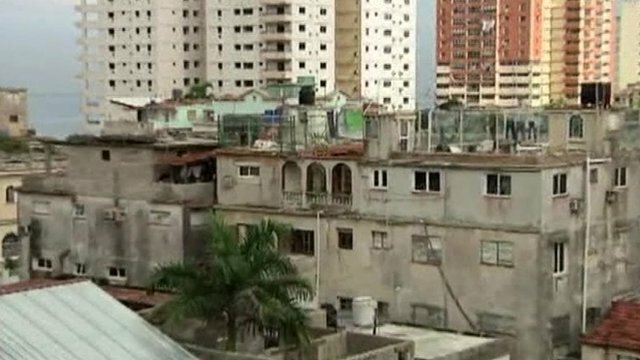 Cubans win right to own property Jump to media player Cuba has approved a law allowing citizens to buy and sell private property for the first time in fifty years. 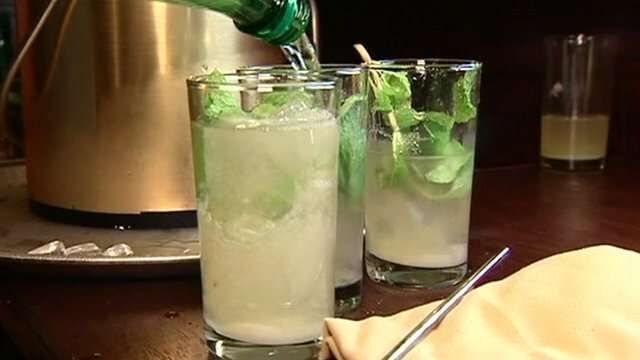 A new bar named after the American author Ernest Hemingway has opened at the Cuban Interests Section in Washington, DC. Tucked inside the Swiss Embassy (Cuba does not have its own embassy in the US), the cocktail area celebrates the writer who made his home in Cuba. It is illegal for the bar to conduct any commerce, but not to import Cuban products that would otherwise be illegal to bring into the US. So the drinks are on the house, made with Cuban rum that is normally impossible to find in the US. Hemingways is mostly for entertaining guests of the interest section, not for tourists hoping to hit happy hour. But the BBC was invited along to the opening party.